Iran’s Supreme Leader launched another verbal assault on the US on Saturday, accusing Washington of being the “mastermind of terror” amid crises across the Middle East. 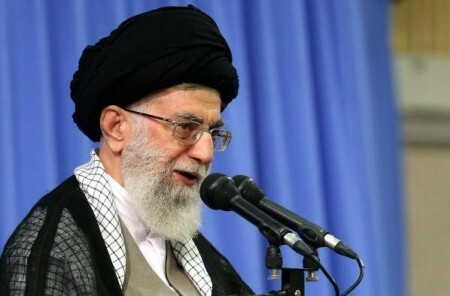 Addressing ambassadors from Islamic countries, Ayatollah Khamenei declared, “The US is the designer and supporter of terrorism.” That “terrorism” included creation of the Islamic State and support of “the fake terrorist Zionist regime” in Israel. #PersianGulf’s security is on those who live in it.What does US have to do w it? US seeks its own interests&causes #insecurity if necessary. Interestingly, however, the summary of the speech by the Supreme Leader’s office does not mention the crisis in Syria, where Iran’s ally President Assad is facing rebel victories and economic problems. Nor does it refer to Iraq, where the Islamic State captured Ramadi, the capital of the country’s largest province, on Friday.